Stop drive-by following on social media—you’re trashing your brand! 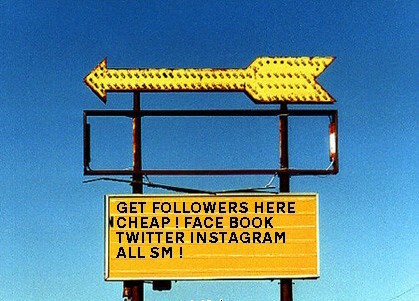 Are you attempting to build social media followers by drive-by following—i.e. following a batch of new accounts every day, waiting a day or two, and then unfollowing the accounts that don’t follow you back? STOP THAT! You are trashing your brand. Many people with social media bios designed to project a professional image destroy their credibility by using this “strategy”. I suspect these are people that would never stoop to buying followers or likes. And yet ~30% of my daily new Twitter followers are drive-by followers. Drive-by following backfires because it ensures that I’m extremely unlikely to want to have any kind of social media connection with you. Here’s how it works on Twitter, my most important social media platform. I do my best to read the profile of every new follower. Rarely will I follow back right away unless you’re someone I know. Birdbrain, the excellent app I use to track Twitter followers, also shows anyone who’s unfollowed me. That’s where I get to notice that you’ve drive-by unfollowed me, typically within 48 hours of your initial follow. That’s when I make a mental note that you’re not a serious user of social media, just someone chasing a high follower count. Instead, follow for a bit and post interesting stuff (I admit that mentions and RTs of me are nice too!) I may well follow you back. What’s worse than drive-by following? Repeated drive-by following! I routinely see accounts commit multiple drive-bys, usually a week or so apart. My conclusion: either you are using a second-rate automated drive-by service, or you have a memory even worse than mine (which is saying something). Either way, your attempt to get me to follow you back is even less likely to succeed. If you want to use social media as an effective marketing platform, don’t broadcast stuff about yourself all the time. Don’t implement elaborate plans solely designed to maximize your followers. Instead, post interesting stuff (both yours and others) and interact with people. Keep doing this. Over time, if you’re doing a good job, your followers will grow and be genuinely interested in your social media presence, and your brand recognition and value will increase.